We provide a comprehensive audit of your Carlton home and then walk through with you to show exactly what we found. 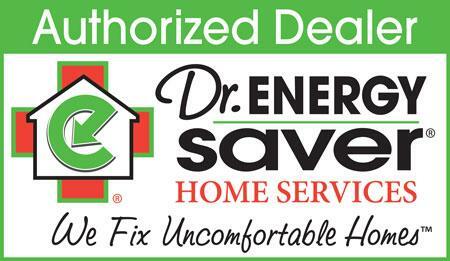 After our audit you will have a prioritized list of home energy tasks to improve the comfort of your home. If it is time to replace your windows or doors we are your local experts. We specialize in installing energy efficient products like Low E Glass to help lower your energy bills. We can also help you properly install unique items like new skylights or sliding glass doors. The crawl space was insulated with spray foam along the walls and rim joists. The crawl space was very dirty and the insulation was very unclean. This homeowner was looking to fix a cold and drafty bedroom. Upon some research on the internet, the homeowner came across DBS and called to set up their free home energy estimate. System Design Specialist, Ron Sundberg was assigned the task of solving the drafty bedroom problem. He evaluated the home and found that the attic insulation above the bedroom was insufficient. He proposed the homeowner increase the attic’s R-value by using a closed-cell spray foam and adding 15 inches of cellulose insulation on top. The homeowner didn’t want to live in the drafty room in the upcoming winter, so the installation team from DBS begun as soon as they could. The home's attic now has sufficient insulation and the homeowner enjoyed a warm bedroom all winter long. This Holyoke, MN homeowner wanted to get the most use out of all the space in his home. One room that was uncomfortable during the winters was the three season porch. To make this room usable during the slow winter months, he decided to get the room insulated. He reached out to DBS and spoke with an appointment center representative to schedule an appointment for a free no obligation estimate. DBS’ home comfort specialist made a trip out to the home and did a free inspection on the under insulated area. He explained to the homeowner the best possible solution to make this room more comfortable. He suggested using closed cell spray foam, and applying three inches to the flooring, with an additional five inches for the ceiling. This combination would provide a better-insulated area, making it more usable in the winter. After coming to a comfortable price agreement, a date was set to have the production crew come out to perform the installation. Following the professional installment, the homeowner was able to enjoy a warm room during the cold months of the year. A couple in Esko called Dr. Energy Saver Solutions in January looking for a solution to their cold, drafty rooms and old windows. Our home comfort specialist, Steve Stern, was able to create a proposal for the home to have sealing of parts of the attic and basement walls to eliminate the draft, he also recommended insulation for the basement walls and pump rooms in the house to help seal it off during the cold winter and help to save them money in the future on their utility bills. The couple was eager to have these services done by Dr. Energy Saver Solutions, by our windows replacing their older windows would help the draft and work towards better energy efficiency for the home. We've included some before photos of the home prior to our insulation and window services below.